"Words are not adequate to thank all of you who supported me since I came forward to tell the Senate that I had been sexually assaulted by Brett Kavanaugh," Ford wrote. "Because of your support, I feel hopeful that our lives will return to normal." After thanking her supporters, Ford wrote that the "generous contributions" that have allowed her and her family to protect themselves from "frightening threats" and increase security on their home. According to Ford, the funds were partly used to pay for a security service since Sept. 19, which "has recently begun to taper off," as well as "housing and security costs incurred in Washington DC, and local housing for part of the time we have been displaced." She received death threats and her family was forced out of their home, said her lawyer Debra Katz in September. Ford wrote she has closed the GoFundMe account for further contributions. All unused donations "after completion of security expenditures will be donated to organizations that support trauma survivors," she wrote. Ford said she is currently researching organizations to direct the leftover funds and will use the GoFundMe to provide an update later on. "Although coming forward was terrifying, and caused disruption to our lives, I am grateful to have had the opportunity to fulfill my civic duty," Ford wrote in the final paragraph of her statement. "Having done so, I am in awe of the many women and men who have written me to share similar life experiences, and now have bravely shared their experience with friends and family, many for the first time. I send you my heartfelt love and support." Ford released a similar statement in early October on the GoFundMe page. Ford's allegations against Kavanaugh first became public on Sept. 16, after Sen. Dianne Feinstein, a senior member of the Senate Judiciary Committee, asked to delay the vote for Kavanaugh's confirmation due to allegations from a then-anonymous woman. Feinstein had known of the allegations since July. 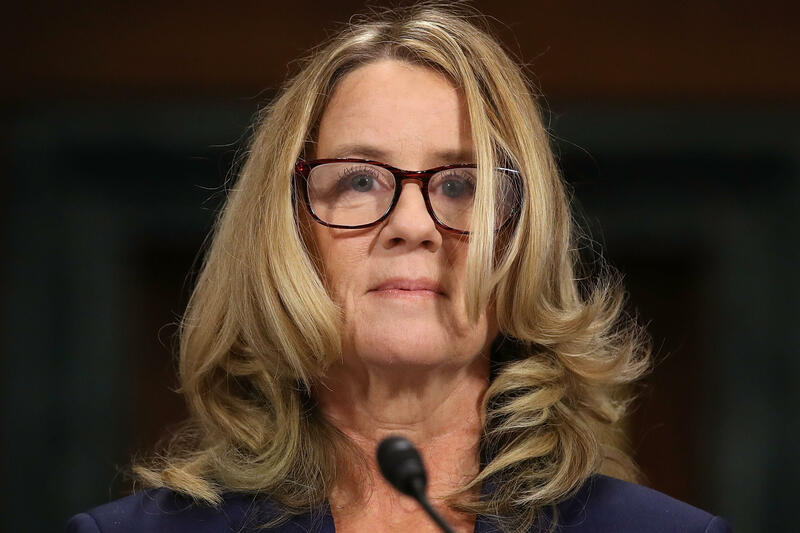 Ford testified in front of the Senate Judiciary Committee on Sept. 27, delivering a testimony stating she was "100 percent "sure Kavanaugh had assaulted her. Kavanaugh also provided testimony that day. After a heated debate in the Senate, he was confirmed in a 50-48 vote Oct. 8.